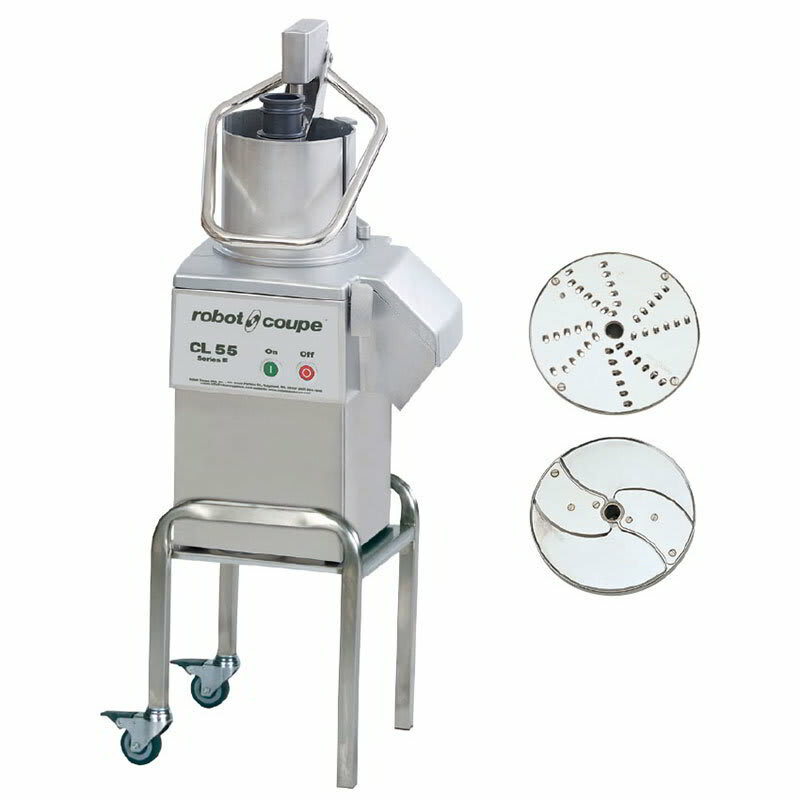 This Robot Coupe commercial food processor with stand features a pusher feed and lever handle that work together for ease of use. This food processor offers removable accessories for easy cleaning. The stainless steel construction is durable and easy to clean. 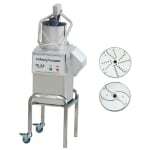 The whole head feed pusher is specially designed to accommodate larger food items. The two-wheel stainless steel stand features locking wheels for safe usage.